Convey your wishes to your dear one's with this beautiful cake 5Kgs (with put cooling) .Exclusive, lip smacking and simply splendid are some words you can use to describe our Two Tier 5 Kg chocolate cake without cooling. Available in five different flavors, you can choose from tempting chocolate, yummy vanilla, tasty butterscotch, rich pineapple and delicious strawberry. 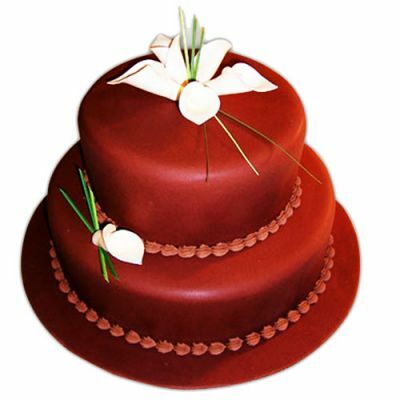 Send cake online and surprise your loved one, our stunning Two Tier cake shows how much you love the person. Send the cake as a gift on birthdays, anniversaries, wedding day, engagement, Valentine’s Day or simply to say “I Love You”. With our efficient home delivery service and midnight delivery service, you will get fresh cakes delivered at your doorstep.